Fed up of finding the perfect recipe online and it's in American measures? 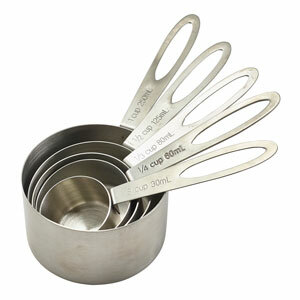 Fear not these measuring cups will convert them with ease. Made from stainless steel they are incredibly durable making them perfect for use in both domestic and commercial kitchens. Each are individually engraved for easily identifying specific measures.